Durbin Park: Jax's Next St. Johns Town Center? For years, St. Johns County has been the fastest growing county in the Jacksonville metropolitan area and now its going to end up with the region's largest shopping center. Should Jacksonville by concerned? 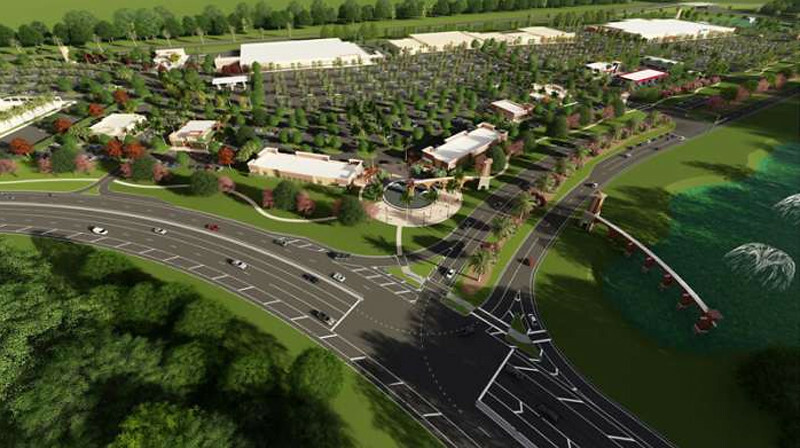 Covering 1,600 acres and proposed by Jacksonville-based Gate Petroleum Company and Gatlin Development Company, Durbin Park may become one of the largest mixed-use developments ever built in Northeast Florida. Taking advantage of a $250 million public investment in the contruction of SR 9B (future I-795) and its feeder road system, Durbin Park will be developed over four stages. At build out, it would add an estimated 2.4 million square feet of retail, 2.8 million square feet of office space, 999 multi-family units and 350 hotel rooms to the local market. Expected to be completed summer 2018, the final $79.7 million phase of SR 9B extends 2.3 miles from I-95 to County Road 2209 in northern St. Johns County. 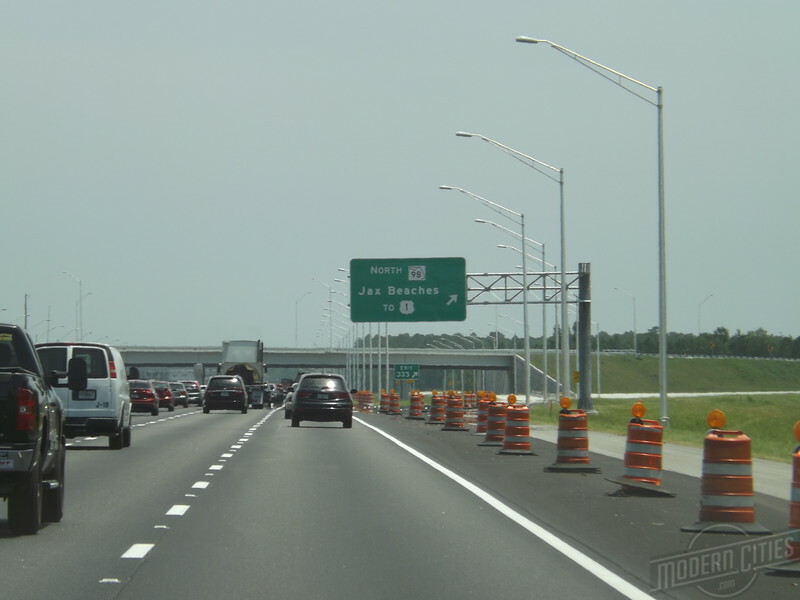 Included as a part of the SR 9B project, the FDOT is also constructing a new interchange and a connector road called Peyton Parkway in the center of the Durbin Park property. A perspective rendering of Durbin Park’s first phase at Race Track Road and Peyton Parkway. The construction of SR 9B through what will become Durbin Park. The SR 9B/Peyton Parkway interchange is illustrated in the center. Durbin Park’s second phase will be one that potentially alters business patterns between St. Johns and Duval County. Anticipated to begin 12 to 18 months after Phase 1, Durbin Park’s second and third phases will contain the region’s first Bass Pro Shops, 999 multi-family units and a 1.5 million square foot lifestyle center, possibly giving the St. Johns Town Center a run for its money. For comparison’s sake, the St. Johns Town Center contains 1.24 million square feet of leasable retail space. The Avenues offers slightly less at 1.11 million square feet. In addition, to high-end retailers and signature restaurants, Durbin Park’s lifestyle center could include a theater, an event lawn with a video wall, a Ferris wheel and merry-go-round. The development’s fourth and final phase will be an office park on the east side of I-95. I-95 and SR 9B (future I-795) will make Durbin Creek easily accessible to Jacksonville residents. According to Ken Wilson, GATE’s vice president in charge of real estate, Durbin Park will result in Duval residents spending their money in St. Johns County, which is a huge dynamic shift from today’s conditions. Many believe Jacksonville’s Southside has negatively impacted downtown’s viability. In a few years, Durbin Park may provide the Southside with an economic challenge of its own.